Boooreeeedd… need to get out from this concrete jungle fast! Pascal, the dutch guy posing with his brand new giant bike, ready to rock! As for me, i hope to get my visa tomorrow! I hope there wont be any problem with the kazakh embassy in urumqi. If everything goes well, i will start packing tomorrow and will be back on the road on tuesday! 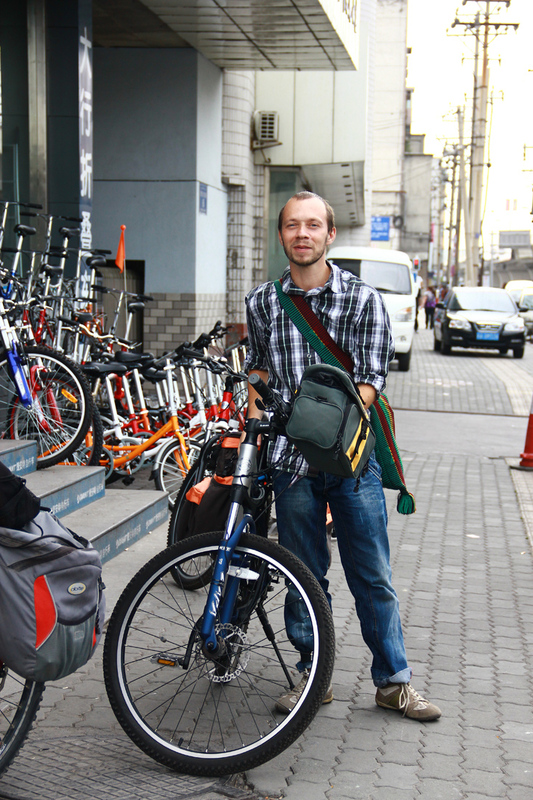 I will ride with Pascal for the first 2 days heading south through the moutains of TianShan. 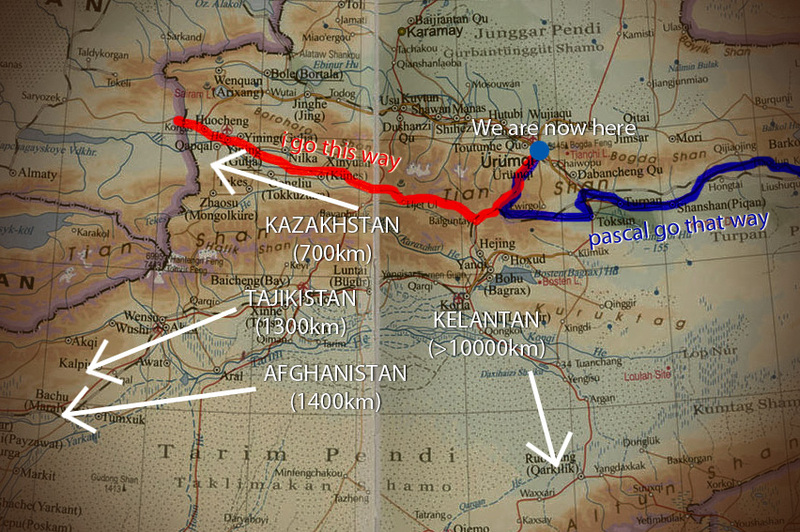 Then pascal will turn east towards Turpan, i will head west towards the border. There wont be any towns and villages available for me for at least 400km, before Nilke, so im gonna pack tons of food and water. Ill be riding alone, so i will ride as fast as a horse towards the border (i hope). ← Dilemma! Dilemma! Dilemma!… Where should i go now huh?? What a pity! So far, 2 person got infection. Wonder who is the next victims. Happy cycling! Ya Allah Permudahkan lah perjalanan nya…. Hope all things go well in your trip. Ride On! Ride Safe! hey thx for reading jason. glad to know u would want to cycle kl-europe 1 day. yep, hope to meet more cyclists, especially us malaysians. hope to meet u somewhere on the road one fine day.